Photo: Japanese American Cultural & Community Center by James Black. 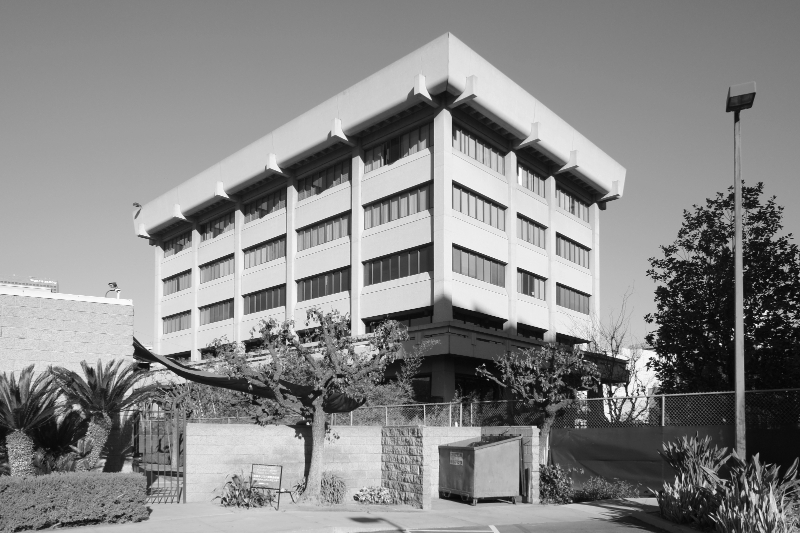 The LA Forum’s summer newsletter is dedicated to Brutalism in Los Angeles, complete with a guide to these often hard to love buildings in the Southland. In conjunction with the newsletter, our On the Map series gets into the concrete details in conversation with the engineers of these tough icons. We spoke newsletter editor James Black on why we should focus this period of L.A. design. How did this newsletter on Brutalism come about? The newsletter idea sprung out of a Google Map of LA Brutalist architecture that we started in 2012 with no particular purpose in mind other than to compile a catalog of these buildings. It’s a guilty pleasure—there is a taint of nostalgia that makes it almost embarrassing to show too much interest in this topic, and the editorial challenge was to harness content with specificity to Los Angeles as well as contemporary relevance. The newsletter’s material both focused a critical eye on LA Brutalism and also strayed to some unexpected places, like the mirror-glass office parks of Orange County. Is there a LA Brutalist style? What is it and does it have certain local characteristics? In his essay in the newsletter, Kimbro Frutiger argues that Brutalist buildings appear here as an “out-of-towner” style—this strangeness within local context is the predominant characteristic of our scattershot Brutalist structures. Community colleges in Orange County, such as Cypress College and Golden West College, comprise prominent clusters of righteous Brutalism in the Southland, and each campus offers its own concrete aesthetic. The near-Brutalist style of the New Formalist projects by Pereira, Becket, and Stone, share a classicizing lineage with the Hollywood Regency style, and constitutes a prominent local alternative to Brutalism. As architects and designers should we defend brutalism? It is no secret that architects’ design preferences often do not match those of their clients. As when a chef expands diners’ palates by offering unique and challenging flavors and textures in addition to the conventionally delicious, we all benefit when designers and critics can expand appreciation for provocative architecture by illustrating, writing, and talking about what makes buildings unique or interesting, and allowing to advance the terms of discussion beyond simple judgments of ugly or beautiful.